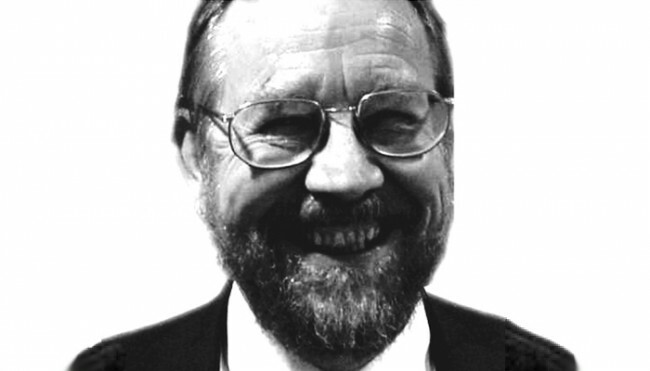 Gordon has been a pioneer in the sustainable transport industry for over 15 years. After graduating in Environmental Science, he has been dedicated to providing clean transport solutions and cost effective electric motor systems for a wide range of uses. Bob has a long history of delivering effective solutions to business problems. 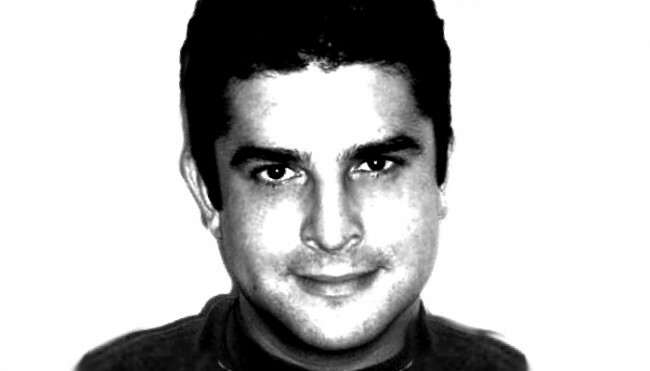 He has extensive experience gained in senior management and consultancy positions in the public sector, manufacturing, marketing and service organisations. 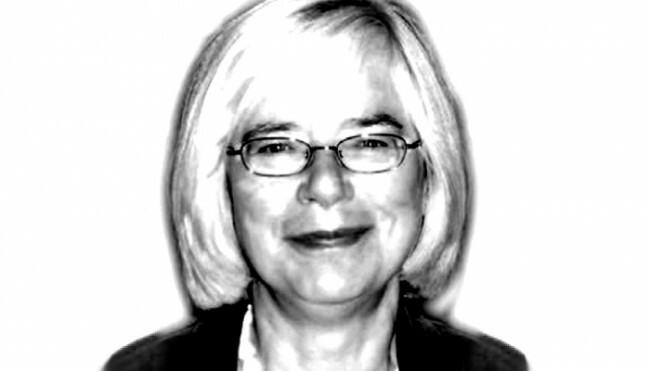 Jean has been involved in the industry since 1975 as co-founder of the Electric Vehicle Development Group and Director of the EU funded hybrid vehicle programme. She assists with the development of renewable energy technology projects. GMS was set up to focus on Green Technology in automotive & marine technologies, particularly electric drive systems and associated components. GMS has spent over 10 years designing, developing and refining electric motors for the light vehicle market that are efficient, powerful and cost effective. 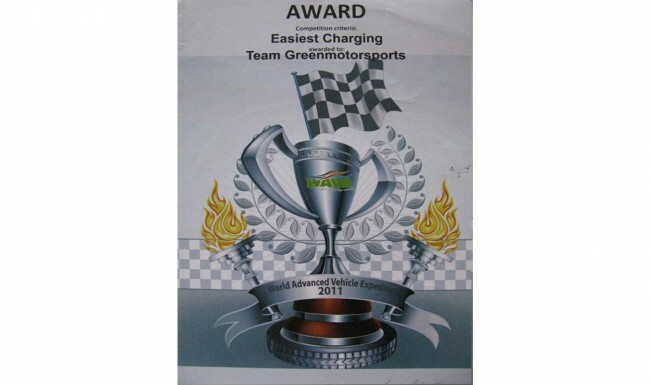 Green MotorSport Limited now manufactures and sells its own brand in house designed liquid cooled electric motor together with all other components required for an electric drive train solution. Green MotorSport has all the necessary expertise to supply and support every aspect of drive train related technology including motors, cooling systems, batteries, battery management systems, display systems, and associated electrical equipment. Green MotorSport Limited (GMS) Company was founded by Gordon Foat on the 4th July 2001 and is based in Woking Surrey in the UK. 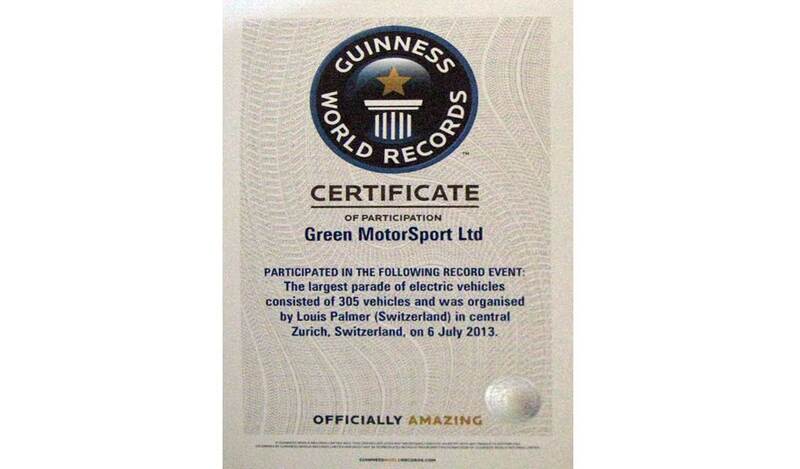 GMS is the first company specifically set up to research “Green motor sport”. 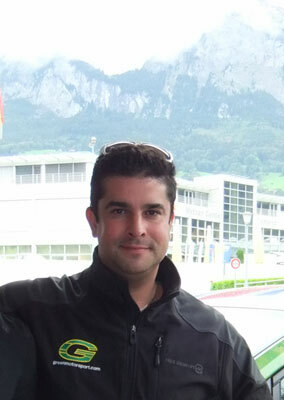 From 2001 – 2005 the company was focused on education and demonstration of renewables and ev technology with the aim to bring zero carbon technologies into motor sport. The company demonstrated zero emission DC air-cooled drive train technologies to universities and business in an attempt to gather people’s interest in the subject. In 2005 the company was featured on prime time television in over 200 countries worldwide as the main feature on CNN News with the global challenges program. 2008 – 2010 The company developed a new kind of liquid cooled electric motor more suitable than the DC brushed technology. As battery technology improved and run times increased the company focused on design and production methods to reduce the costs and increase motor reliability. In 2009 the company launched its first liquid cooled motor prototype designed for karting and lightweight vehicles, ready for our planned series of high performance kart races. 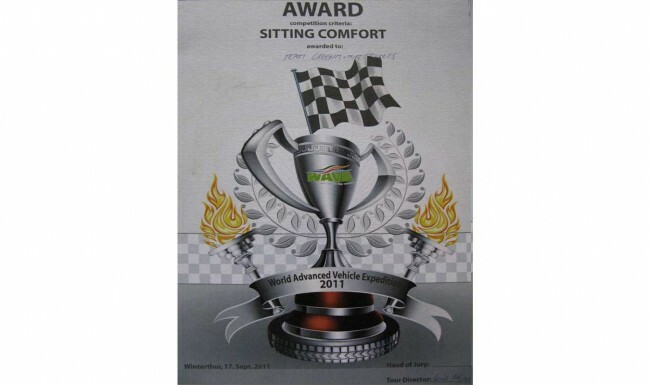 In 2010 the company launched its first mass production liquid cooled motor called the GMS M1, followed a year later with the first twin drive electric powertrain called the GMS Dual Powertrain designed for heavier vehicles. The company’s efforts were recognised by the Royal Family at the Royal Bath and West show collecting a first prize from Her Royal Highness The Countess of Wessex GCVO for sustainable transport. 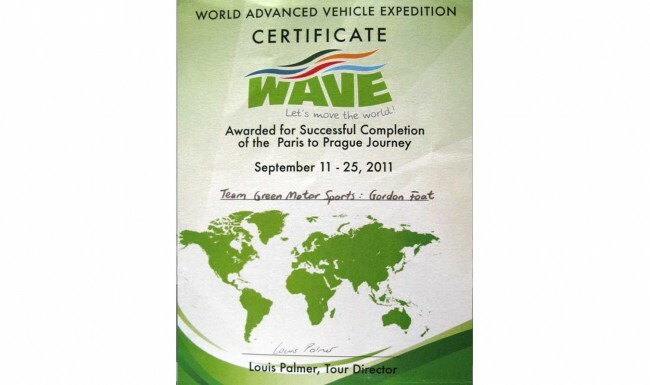 In 2011 Green MotorSport entered the World’s First electric car rally called WAVE (World Advanced Vehicle Expedition, collecting 3 first prizes for its efforts. In 2012 work began on a new range of exciting motor developments. The new cost effective motor prototype design was designed, based on our own Technology. The company continued to invest in of the electric motorsport technology. 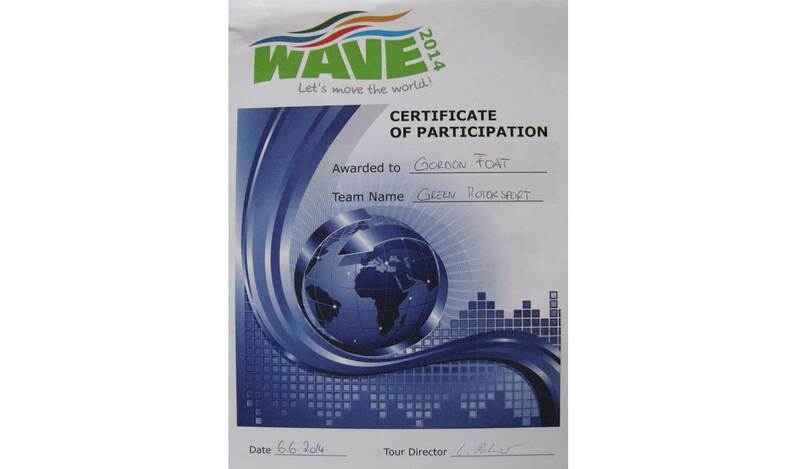 GMS joined the WAVE rally once again in 2012, and on return, Gordon Foat was presented with the People and Environment award 2012 for Sustainable sport. 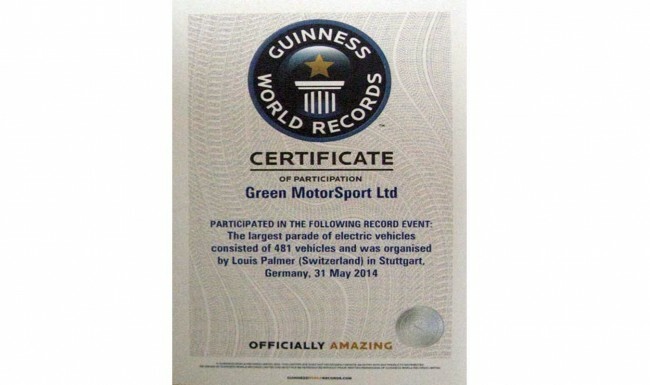 In 2013 GMS continued its efforts in refining electric vehicle support technology, and again participated in WAVE, collecting battery charging awards as well as gaining a world record with the WAVE group for the largest number of electric cars ever parade in Luzern Switzerland. In 2014 the company entered two cars into the WAVE rally. The company used the WAVE to test and evaluate its new generation motor. 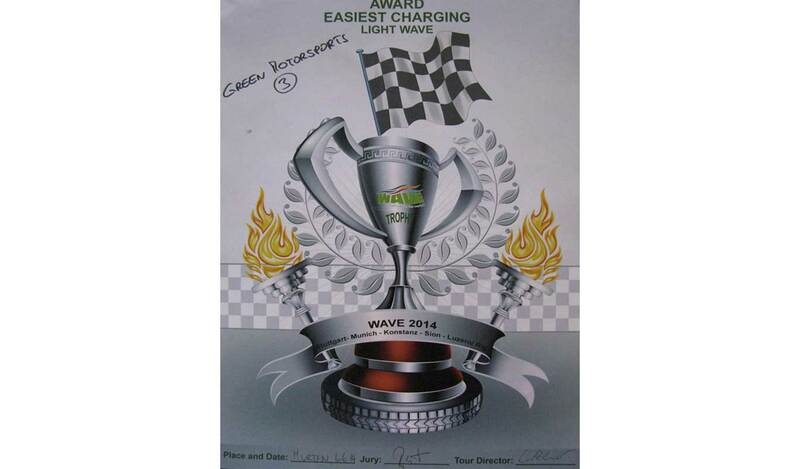 With the new motor installed in our electric buggy we used WAVE as a public proving ground to gather reliability and performance data that adds credibility for our claims for our latest product offering. We are currently finalising all aspects of protection for our technology before the planned product launch, which is scheduled for late summer 2014. The company will also continue to refine its drive train and associated technology for future niche electric car production companies. 10 year partners with Fuel Cell Power whose founders developed the power source for the Apollo space programme.